My first visit to the Bohemia was in August 2007 and it was a fantastic experience. My first impression was as if I ever came into a Disneyland city, a city from a fairytale! 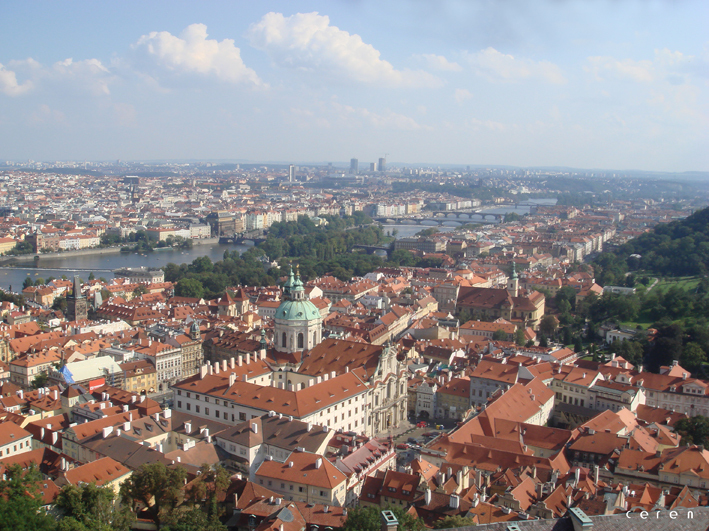 We spend 10days in Prague and before though that we may jump to Vienna from there and later to Budapest. However, even 10days were not enough to experience this beautiful city. The picture on the left: The bridge on the picture is Charles. It’s dark tower is identical from far away. The one which can be seen in the picture is its tower located in the Staroměstská. On the other side, there is another tower Malostranská. It’s local name is Karluv Most coming from the 14th century. It is a Gothic stone bridge linking the two sides of Prague. It is a romantic place to be in Prague! Charles Bridge is on the top of every Prague visitor’s must-see list. It is also popular with Czech artists, musicians and souvenir vendors whose stands line both sides of the bridge year-round. The picture on the right: This was my morning view every day I woke up in Prague. We rented a flat on the U Obecniho Dvora street which was 5 minute walking distance away from the old-town square. The picture on the left: Me in the old-town square. Our visit was during the “dance festival”, therefore the old-town was full of people. The picture on the right: The Kafka Museum. It is easily visible from the King Charles Bridge. If you like his books, you should visit this museum. The museum has two exhibition sections – Existential space and Imaginary Topography. I will not give clue about these, you should visit it! 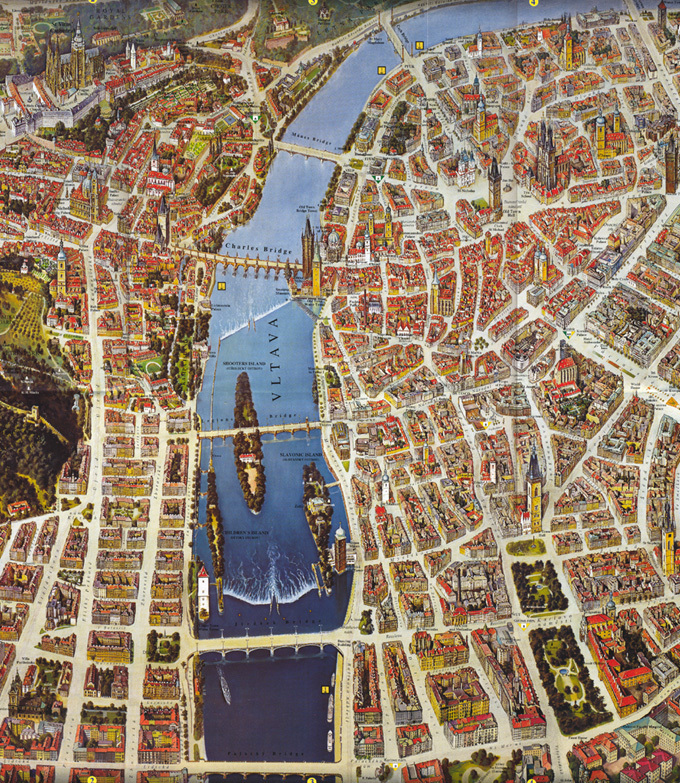 The picture on the left: This is the bird-view of Parizska street from the top of Astronomic Clock tower. 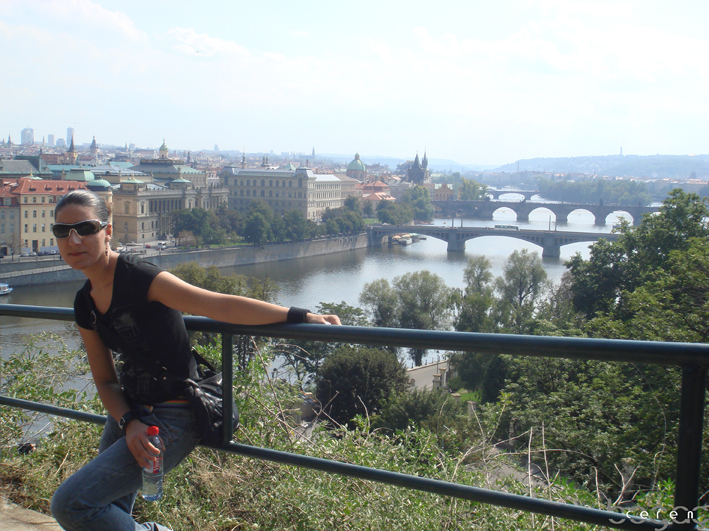 The picture on the right: Me and my friends has a very long walk from Stefanikuv Most and climbed up to Prague Castle. This walk took more than 2hours; but we experienced the parks, river-side from various amazing spots! 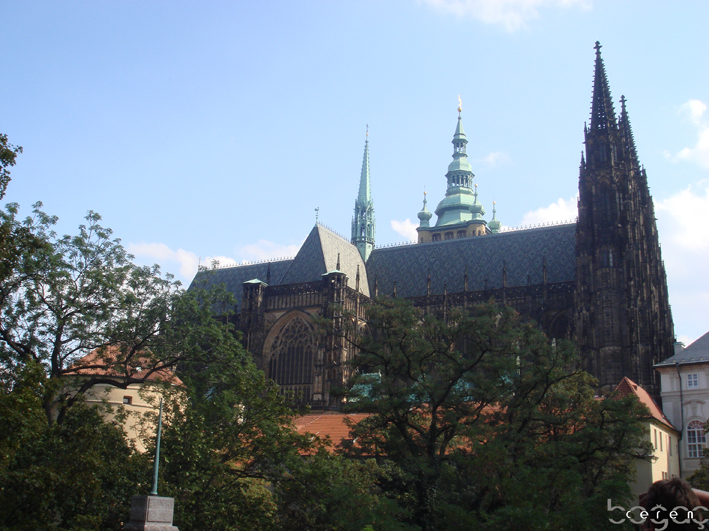 The picture on the left: The Prague Castle complex with the St. Vitus Cathedral which is the biggest and the most important church in the Czech Republic. It’s one of the best examples of Gothic architecture. 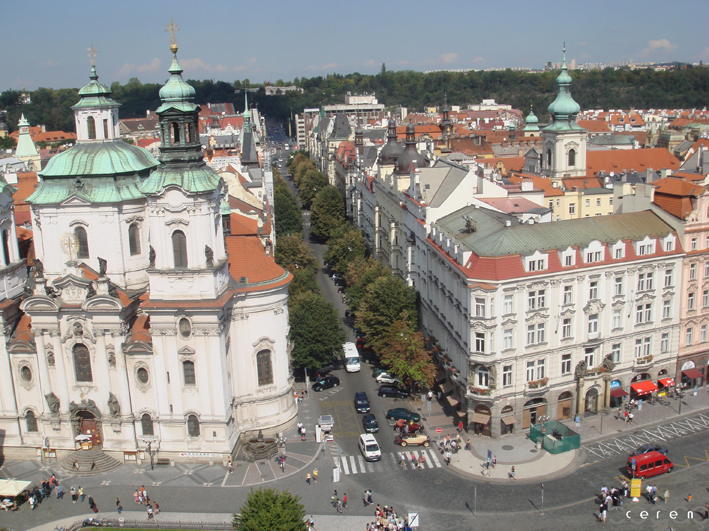 The picture on the right: This picture is taken from the Bell tower of the Cathedral (St. Vitus). Please note that you can only climb to the tower if the weather is good (well it takes apx. 280 steps from a very narrow staircase to climb! You should think twice before go.). These are the picture which were taken during the Jazz Boat experience. The food was amazing and the music was nice. Designed by Frank Gehry and completed in 1996, this Post-Modern office block has a crunched appearance that makes it look like the building is swaying and twisting. Built with a curvy corner cylinder that resembles a flared dancing skirt, the building has been dubbed Fred and Ginger by its supporters.The name “dancing building” is a given nick name to this building.The building has a coffee shop at street level and a restaurant on the top floor, with offices on the other floors. Positioned on the Vltava River embankment near the Jirásküv Bridge the Dancing building greets visitors arriving from the airport.When I was a student in architecture, I was really impressed by this building that is an example of deconstructivist architecture, with an unusual shape. Therefore it became a nice memory for me to see this building in Prague. 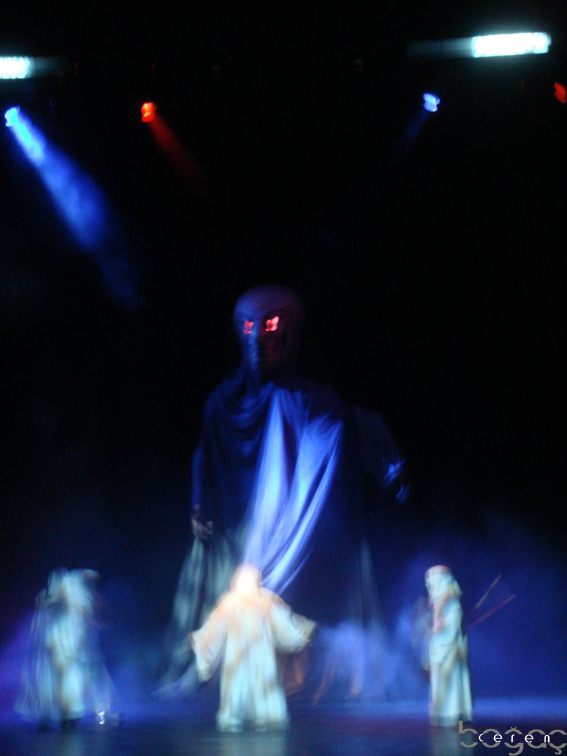 1- The city is famous with its Black Light Theaters- make sure that you watch one of those shows! 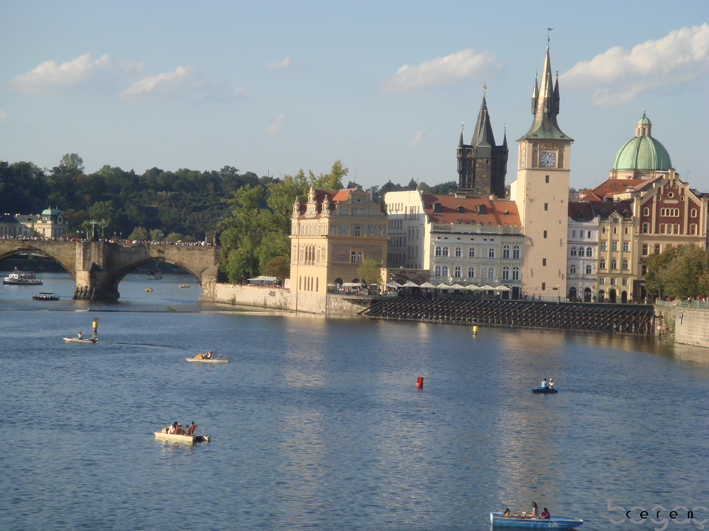 2- Spend as much as time possible on the Charles Bridge- Buy hand-made accessories, take pictures, watch puppet shows and listen live performances. 3- Be present in front of the Astronomic clock before an hour bangs! You should go up to the tower and watch the beautiful view of the old-city. Enjoy with the activities in the old- town square. 4- Drink Pilsner Urquell beer! It is fantastic and cheap. 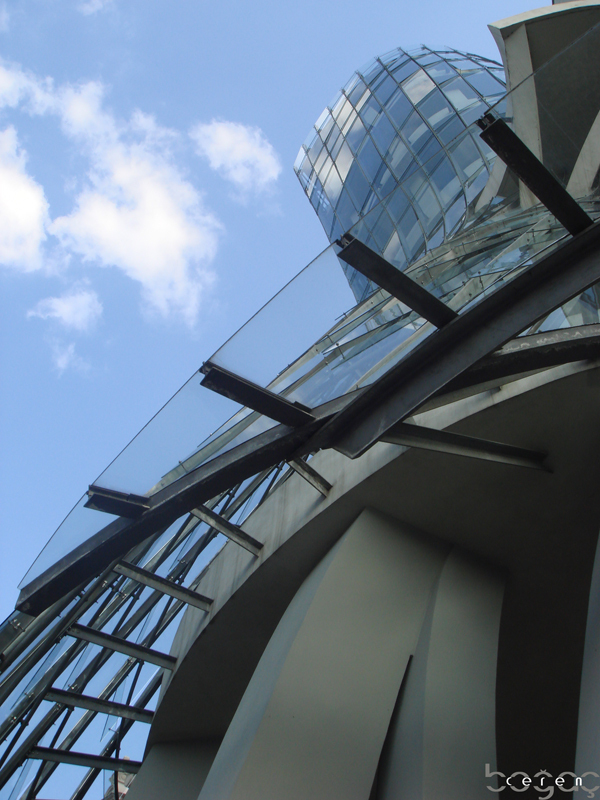 6- Visit Petrin Observation Tower- it looks like a mini-Eifell,however the view over there is amazing! The tower is only 60meter hight with 299 step! 7- Have a walk on the Pariska Street- one of the most expensive shopping street of the city. 8- Take a Jazz Boat on the river! 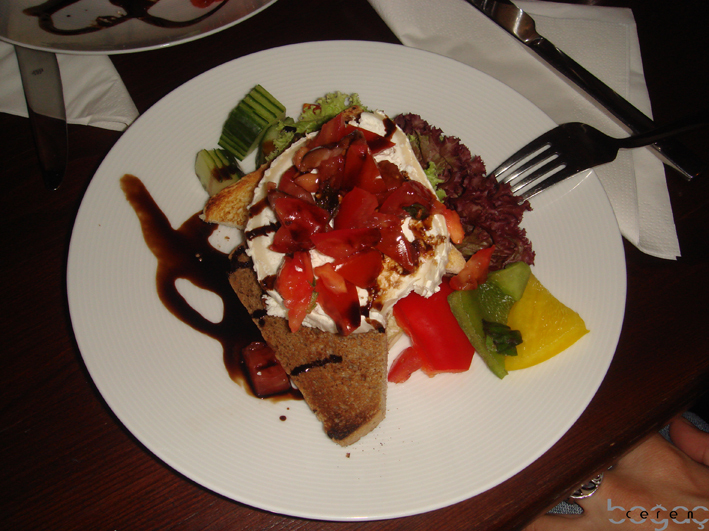 Live jazz music, night sight of the Prague city and gourmet food- a fantastic experience! 9- Visit Powder tower (there is a fancy restaurant next to it and ornamented Municipal house next to it!). 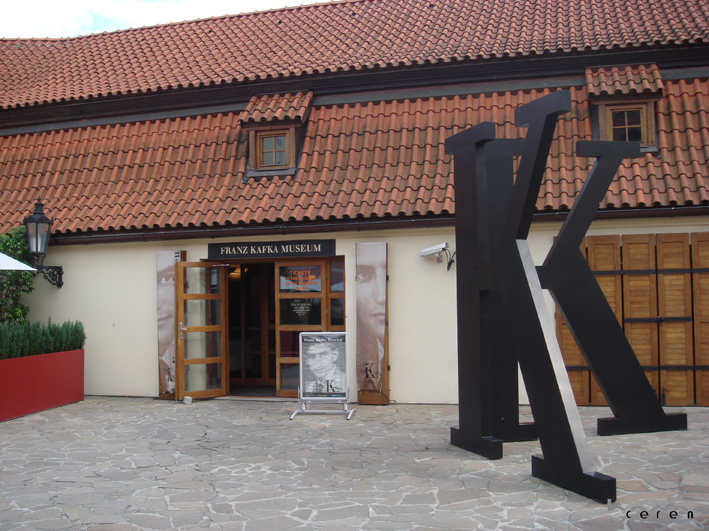 10- Visit Kafka Museum! You will feel like you are in one of his books! 11- Have a walk on the Jewish quarter. 12- See the Dancing Building. 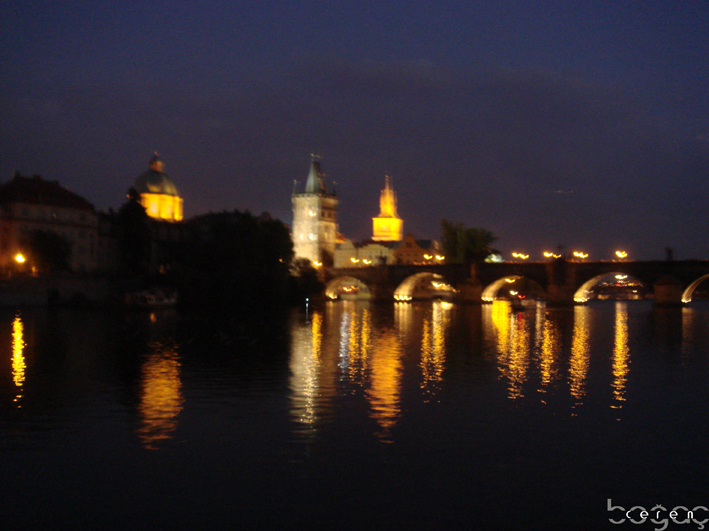 13- Have a long walk by the Vltava river. 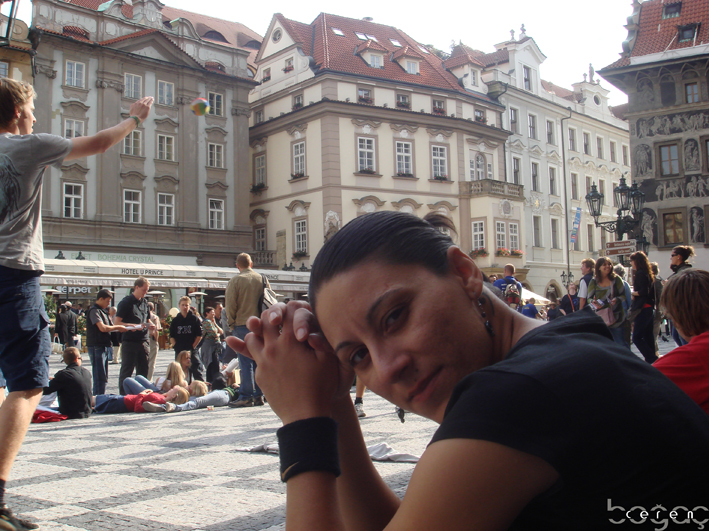 Life in Prague: A local experience of the Bohemia! My home in Vinohrady, which is a beautiful residential area of Prague that carries a reputation of prestige and elegance!